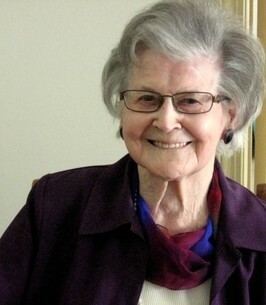 Margaret Joyce Corrin nee Waring passed away at St. Joseph’s Villa in Sudbury Ont. on Oct.7, 2018 in her 95th year, her daughter Arlene at her side. Margaret was born in Brantford Ont. on June 10 1924. She was the third of six children born to Harry and Edith (Norris) Waring. 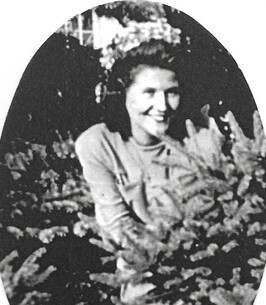 She attended school in Brantford and met her future husband, Mel Corrin through a Salvation Army Young Peoples group. They married on June 21st,1947 after Mel graduated from Medical school. They moved to Lucknow Ontario where Mel began his medical practice and Margaret learned how to live in a small town. Mom raised six children in Lucknow and eventually called Lucknow home. She appreciated her good friends and neighbours who helped to raise the six of us. Mom struggled with health issues but in spite of that had a strong constitution. She lived with pain for much of her life but had an amazing ability to bounce back from it. She had a good sense of humor when well and could laugh with the best of us – all the more special because it was rare. After the sudden passing of Dad, Dr. Mel Corrin, in 1991, Mom stayed in the Corrin House in Lucknow until 2007 when she moved to Sudbury to be near her daughter Arlene and family. Arlene was an amazing support to Mom throughout the next 11 years. They developed a very close bond. Mom trusted Arlene completely, as did we. Her calm assertive demeanor brought Mom through many a rough patch and we are all so thankful to her and to her family. Mom was also predeceased by her parents, her sisters, Isabella (1920), Marion Bonk (1990), her brother Ronald (1974), her brother & sister-in-law Dr. Bern (2010) & Peggy (1989) Corrin, her grandson, Tyler Howe (2015) and her son- in-law Robert Bodman (2017). She is survived by her sisters Frances and Joan, and her children: Donna Huston of Duncan BC, Nancy (John Roos) Queens Bay BC, Deborah Bodman (Buff) and Douglas (Donna) of Calgary, Arlene Sager (Tom) Sudbury Ont. and Suzanne (Rob Walmsley) Belmont Ont. She had 16 grandchildren and 24 great grandchildren at last count. Mom had a long and, at times, a difficult life. We appreciate her warmth, her courage, her creativity and her laughter. We regret that she was in pain for so much of her life and are thankful that is now also at rest. Rest in Peace, Mom. We love you. A Celebration of Life and refreshments will be held at the Lucknow United Church (Basement Room) on Sat. Oct.27 at 1:00 PM. In lieu of flowers the family would appreciate a donation to the Wingham & District Hospital Foundation, or to the St Joseph’s Villa in Sudbury where the staff support their clients with such caring and patience.